When creating the "Journey Builder Email Send Summary" or "Journey Builder Email Sends by Day" reports, you have the ability to select "ALL" journeys or individual journeys. If you choose to select individual journeys, there is an upper limit to the number of Journeys you can select. 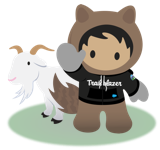 When viewing tracking data for an integrated send in Salesforce, unique clicks or unique opens show a higher value than what is seen under tracking for the job in the Marketing Cloud. Impression Tracking Reports will not capture impression stats for static content to subscribers. The impression region tracking reports do not include impression regions that are fixed content. When running the Contact Data Portability Report, the User Interface does not populate the data. The standard Marketing Cloud Campaign Reports select the wrong Campaign that they report on. When attempting to schedule a Journey Builder Email Send Summary By Day report you are able to select both ALL and Running & Finished simultaneously in the Version(s) option. This causes all reports that are ran with this option selected to fail. When using the standard tracking extract and exporting click impression records, some records may be split over multiple lines when viewed. This is being caused by additional Line Feed characters being exported with the data.